TransCanada Corp. has terminated its Energy East pipeline, triggering a $1 billion loss and bringing an end to an epic battle between politicians, big oil, Indigenous leaders and environmental groups. Girling said the decision would cost his company $1 billion due to the investments it has already made in the project. The company said it wasn’t expecting to recover any of its losses from any third parties since it failed to get a regulatory decision on the project. Energy East was supposed to be the largest project of its kind in Canada, shipping up to 1.1 million barrels of oil per day from Alberta, Saskatchewan and North Dakota across the country through a 4,500-kilometre route that would end at a terminal in Saint John, New Brunswick. The crude oil pipeline proposal consisted of converting parts of an existing natural gas pipeline as well as building new segments for both oil and natural gas. The natural gas component of the project was called the Eastern Mainline pipeline. But the proposal suffered several setbacks, some triggered by fierce opposition in Quebec, which forced it to make changes to its route and invest in a charm offensive to convince residents in the province to endorse the pipeline. In 2015, the company announced that it was cancelling plans to build a marine terminal in Eastern Quebec as part of the project, due to concerns that this would endanger local beluga populations in the Saint Lawrence estuary. While large Canadian banks, the business community and oil producers had backed the $15-billion infrastructure project, saying it would generate jobs and support growth in Alberta’s slumping oilpatch, Indigenous leaders, local mayors and environmentalists along its proposed route said it was too risky and would push Canada’s climate change goals out of reach. The project went off the rails following revelations, uncovered by National Observer in 2016, that members of a federal panel reviewing the project had met privately with a company consultant, former Quebec premier Jean Charest. The NEB initially said it didn’t know Charest was working for TransCanada during this meeting in January 2015, about two months after TransCanada formally filed its project application with the regulator on Oct. 30, 2014. 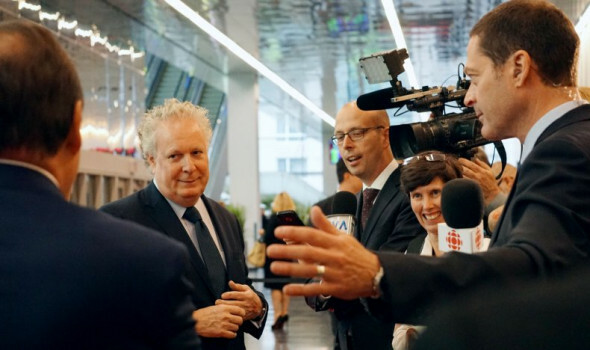 But the NEB later apologized for making false and misleading statements, confirming that Charest had been invited to discuss the project and that he gave them political advice on how to build public support for the pipeline in Quebec. Hearings on the project have been stalled since the original panel members recused themselves in September 2016. 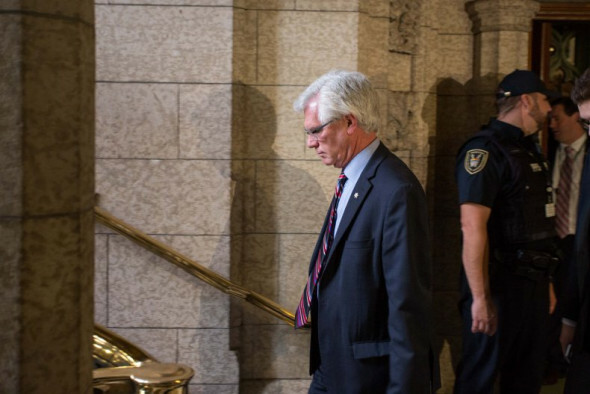 A few months later, a new panel took over with members appointed by the Trudeau government. They decided to scrap all of the work done by the previous panel, which admitted that it appeared to be biased, and to start the review from scratch. In August, the new panel decided it would include cumulative climate change considerations in its review of the project, prompting fierce criticism from oil companies and the Canadian business community. They accused the NEB, a quasi-judicial body that operates at arms length from government, of overstepping its mandate. Natural Resources Minister Jim Carr noted that it was the company, not the government, that made its decision based on economic considerations. TransCanada has been searching for shippers to sign on as customers for its other major project, the Keystone XL pipeline that would link Alberta’s oilsands producers to refineries on the gulf coast of Texas. But many Canadian oil companies have been struggling to compete on the international market since global oil prices plummeted in the fall of 2014 because they have higher costs of production. Several economists have said that the Energy East project was also facing an uphill battle due to a slump in Canada’s oilpatch, which is struggling to compete with lower oil prices on the global market due to higher production costs in Alberta’s oilsands. “We will continue to focus on our $24 billion near-term capital program which is expected to generate growth in earnings and cash flow to support an expected annual dividend growth rate at the upper end of an eight-to-10-per-cent range through 2020,” Girling said. A spokesman for TransCanada declined an interview request about the decision. 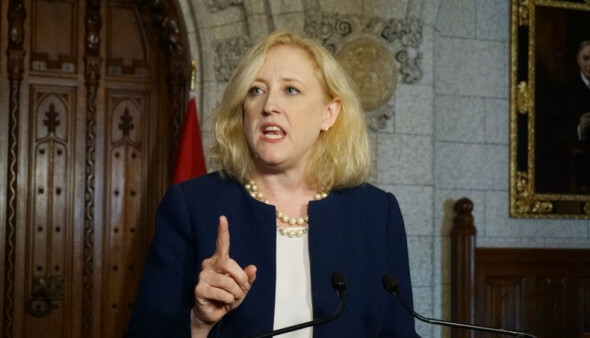 At a separate news conference, Conservative Party deputy leader Lisa Raitt blamed the Trudeau government for causing uncertainty in the markets by proposing tougher environmental standards that make it difficult for Canadian companies to compete with producers in the Middle East such as Venezuela and Saudi Arabia. When asked whether she thought there were other economic market considerations that TransCanada was facing as reflected by its recent efforts to recruit new customers for its Keystone XL project, Raitt declined to speculate. Carr dismissed those arguments, insisting that Canada offers a stable investment climate, world class reserves, proximity to global markets, a skilled workforce and advanced services and technology. Eastern Canada started getting increased shipments of Alberta oil about two years ago, through Enbridge’s aging Line 9B pipeline which ends in Montreal, after the federal regulator, under the Harper government, agreed to reverse the flow of that pipeline. Line 9B continues to operate, but it has been required to reduce its operating pressure due to safety concerns on the line, which went into service in the 1970s. While several environmental groups celebrated the news of Energy East’s demise, several politicians, including Alberta Premier Rachel Notley and New Brunswick Premier Brian Gallant, expressed their disappointment that the project would be abandoned. Canada has the world’s third largest reserves of crude oil, following Saudi Arabia and Venezuela. Billions of barrels of this Canadian oil is buried in oilsands, a tar-like heavy oil that is mixed with clay and sand beneath the boreal forest in northern Alberta. Oil production from this region requires huge amounts of energy and water which make it Canada’s fastest growing source of greenhouse gas emissions.